LOS ANGELES – “Climate Change Solutions in the New Abnormal” is the theme of the 18th Municipal Green Building Conference and Expo (MGBCE) on April 18, 2019, with special focus on Mitigation, Adaptation and Resilience. As the longest-running and largest gathering of leading sustainability and green building advocates within both the public and private sectors in Southern California, MGBCE draws 500+ attendees annually from 88 Southern California-area municipalities, all of whom are striving to integrate sustainability into municipal action. Hosted annually by the U.S. Green Building-Los Angeles Chapter (USGBC-LA) and Southern California Gas Company (SoCalGas), the event runs from 8 a.m. to 6 p.m. at the SoCalGas’ Energy Resource Center (ERC) located at 9240 Firestone Boulevard in Downey. Registration is open now. The morning keynote speaker and lunchtime panelists will be addressing the theme through a range of issues – from zero carbon to renewable energy options and from large-scale to localized sustainable planning in the region. Additionally, innovation through technology will play an increased role throughout the day, through the exhibitors as well as a special program launch. Morning keynote speaker Dr. Charles (Chuck) Kutscher,Fellow and Senior Research Associate of the Renewable and Sustainable Energy Institute, University of Colorado-Boulder and lead author of the new edition of the book Principles of Sustainable Energy Systems, will launch the day with “The Race to Zero Carbon and the Critical Role of Buildings.” Dr. Kutscher points out that buildings are responsible for over 40 percent of our carbon emissions, consuming 75 percent of our electricity. Thus buildings play a vital role in matching electricity demand to our variable wind and solar resources. To that end, this former Director of NREL’s Buildings and Thermal Sciences Center, who presented at the United Nations in early March, will discuss the race to zero carbon and how advancements in the field of building energy are helping make a successful energy transition possible. Pictured is Christine Harada, former Federal Chief Sustainability Officer for the Obama administration, and now President of i(x) investments. The morning Main Hall session will also feature a brief talk on the role of technology and innovation in the built environment by Christine Harada, former Federal Chief Sustainability Officer for the Obama administration, and now President of i(x) investments. which invests in the critical areas of human need (renewable energy, green real estate development, affordable housing, gender equality, technology and information, waste reduction and food and agriculture) in a multi-strategy investment approach. 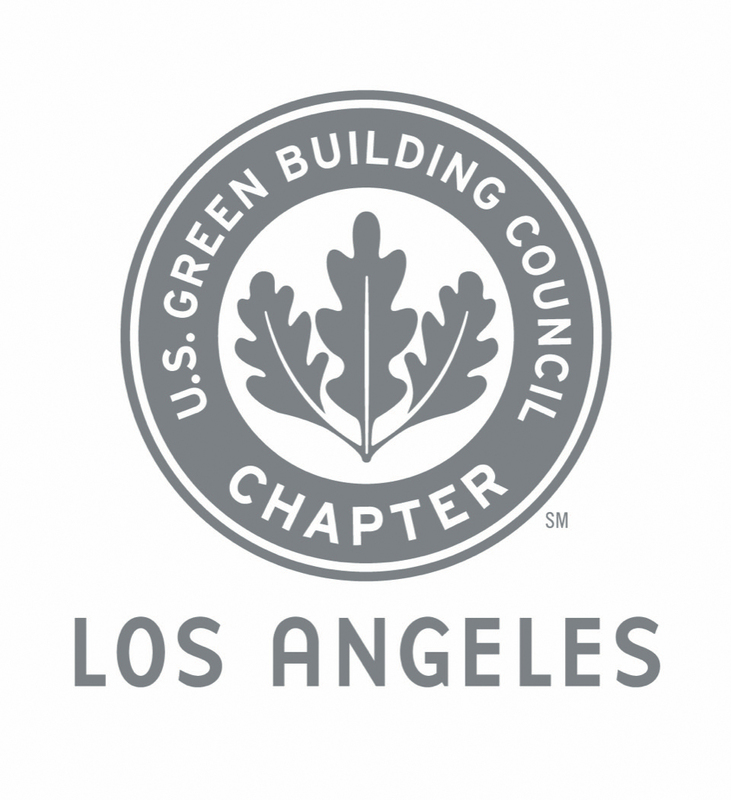 A new USGBC-LA initiative announcement will follow. Event co-chairs, USGBC-LA Board Members Ruby Rose Yepez and Edmund Novy, will welcome attendees prior to the keynote speakers. And recently-appointed USGBC-LA Executive Director Ben Stapleton will provide a preview of his future vision for USGBC-LA. With Stapleton’s background, including high level positions with the LA Cleantech Incubator (LACI), JLL, and LA Better Buildings Challenge, his hiring comes as USGBC-LA implements a new strategic plan that encompasses strong thought-leadership, inspiration and guidance in the sustainable built environment; education that empowers; collaborative programs with new partnerships; and overall drive for market transformation to fight climate change. Moderated by Stapleton, the panel will feature Gary Gero, Chief Sustainability Officer, County of Los Angeles, whose County Sustainability Plan will be on the brink of release; Dr. Cris B. Liban, P.E., Executive Officer, Environmental Compliance and Sustainability, LA Metro, with Metro’s unique holistic approach to and best practices within environment and sustainability; Carmen Ramirez, Mayor Pro Tem, City of Oxnard, and Gleam Davis, Mayor, City of Santa Monica, addressing the financial, policy and livability challenges for cities to progress in sustainable building and the ‘new abnormal’; and Tamara Wallace, Sustainability Programs Manager, CA State University, Office of the Chancellor. Wallace brings to the panel a strategic vision of sustainability in higher education, along with recent very real scenarios of wildfires, campus management, student engagement and resilience. Closing out the day, national author and speaker Eric Corey Freed will share why “Banging Your Head Against the Wall Burns 150 Calories, But There are Better Options”. Freed is currently Sustainability Disruptor at Morrison Hershfield, is an award-winning Founding Principal of organicARCHITECT, and lead the XPRIZE for Healthy Buildings. MGBCE’s programming addresses solutions at the building, city and regional scale for city administrators as they seek innovative, tangible ways to create an inclusive path forward, especially at the local level, and across topics that include Health, Technology & Data, Diversity & Inclusion, Energy & Environment, Housing, Education, Infrastructure, Budgets, Public Safety and Economic Development. The conference attracts a wide variety of building industry disciplines, including municipalities, utilities, public agencies, architects, engineers, building owners, contractors, non-profits, and manufacturers. All of these groups are working together to create connected cities that succeed in the three E’s: Economic, Environmental, and Equity solutions. MGBCE sponsors include LADWP, SoCalGas and Zero Waste Co.
For MGBCE schedule and general information, please visit https://usgbc-la.org/programs/mgbce/ or contact Fernanda Zuin at fernanda@usgbc-la.org. For Sponsorship & Exhibitor information, please contact Ben Stapleton at ben@usgbc-la.org. Headquartered in Los Angeles, SoCalGas® is the largest natural gas distribution utility in the United States. SoCalGas delivers affordable, reliable, clean and increasingly renewable natural gas service to 21.8 million customers across 24,000 square miles of Central and Southern California, where more than 90 percent of residents use natural gas for heating, hot water, cooking, drying clothes or other uses. Natural gas delivered through the company’s pipelines also plays a key role in providing electricity to Californians— about 45 percent of electric power generated in the state comes from gas-fired power plants. SoCalGas’ vision is to be the cleanest natural gas utility in North America, delivering affordable and increasingly renewable energy to its customers. In support of that vision, SoCalGas is committed to replacing 20 percent of its traditional natural gas supply with renewable natural gas (RNG) by 2030. Renewable natural gas is made from waste created by dairy farms, landfills and wastewater treatment plants. SoCalGas is also committed to investing in its natural gas system infrastructure while keeping bills affordable for our customers. From 2014 through 2018, the company invested nearly $6.5 billion to upgrade and modernize its natural gas system to enhance safety and reliability. SoCalGas is a subsidiary of Sempra Energy (NYSE: SRE), an energy services holding company based in San Diego. For more information visit socalgas.com/newsroom or connect with SoCalGas on Twitter (@SoCalGas), Instagram (@SoCalGas) and Facebook.